Last week I had the opportunity to be on KSL Studio 5 with Brooke Walker (see the clip here). Before actually going on set and getting interviewed, I was given a sample script or list of questions that Brooke might ask me. It turned out that she didn’t really go off the script; having reviewed my book over the weekend, she had written down her own notes and questions to ask based on what she had read. Yes, why? Why not just take medication? Some people do just therapy without needing the assistance of medication, and we will not go into that here too much. 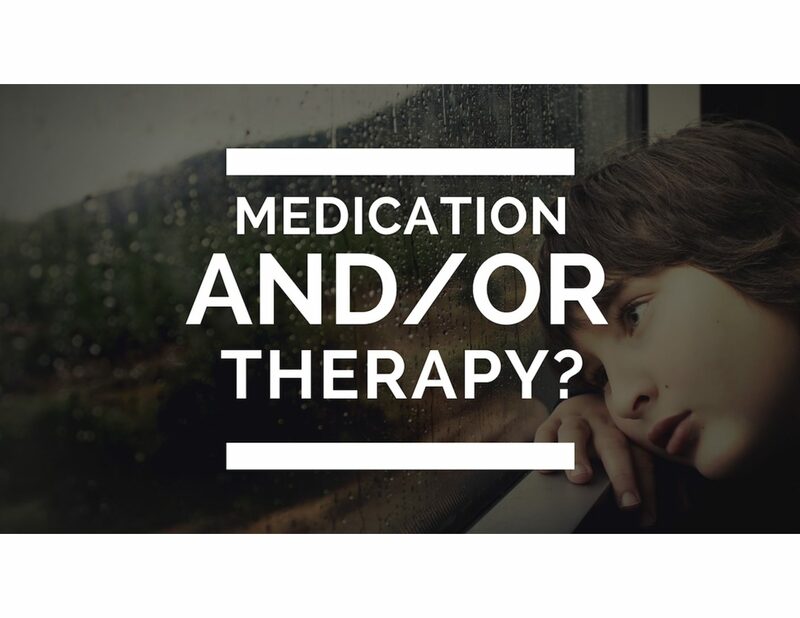 But instead, let’s focus on why a person should also prioritize therapy if they are already on medication. I was on medication alone at the very beginning of my treatment, more than ten years ago. I was told I had OCD but not given tools, resources, reading materials, or advice to see a psychologist (as far as I recall). I was prescribed fluoxetine and took those pills for a long time. For me, medication has taken the edge off the anxiety. It almost glosses over the problem, making it easier to ignore the obsessions and deal with them at all. Without medication, I have found myself debilitated with fear and paralyzed with anxiety, but, for me, taking medication eases that terrified feeling, making me feel more stable and comfortable. So yes, I managed for a long time with just medication—but it didn’t help me to understand what having obsessive compulsive disorder really meant. I didn’t learn the pattern and nuances of the disorder. I didn’t understand that there were ways that I could change my thinking and my behavior in order to address the disorder head on. I was masking my issue, pushing it aside and living on the surface while the OCD remained, sometimes going into more of a “hibernation” mode and other times lashing out angrily. Choosing finally to engaged in cognitive behavior therapy signaled to me that I was taking responsibility. I was willing to take active steps against the OCD, be accountable, and see if I could regain the parts of my life that the OCD had stolen away. Rather than appease it and try to ignore it, cognitive behavior therapy allows us to meet the disorder and engage it in battle. It gives us tools and the confidence to take back our lives. Of course, it is not easy. It is definitely easier to take a pill and try to ignore the problem. But doing the easy thing does not usually yield the most beneficial long term results. Finding a Therapist or Going Solo? Of course, it is sometimes incredibly difficult to find a psychologist or counselor who knows CBT and can help you in your fight against the OCD. Searching online, especially at iocdf.org, can yield results in finding specialists. But often doctors are hard to find in our areas or to get an appointment with in the immediate future. In those cases, I recommend doing your own research. Read books. There are so many excellent books about CBT and ERP (exposure response prevention) that focus specifically on OCD treatment. Search on Amazon or at your local library and see what you can find. Workbooks might be especially helpful if you are unable to secure an in-person appointment with a therapist. When it comes to therapy, actually doing something is what matters. You can research and become an expert on the theory of CBT, but if you are unable to put what you have learned into practice, recovery will be much slower—if not halted altogether. Like we believe in the gospel, agency matters. Doing something with the knowledge that we have matters. Our actions, in addition to what we have learned and know, determine the course of our lives. It’s the same with our mental health as with our physical and spiritual health. We need to actively work on improving and changing ourselves. It’s not easy, but it does yield results.